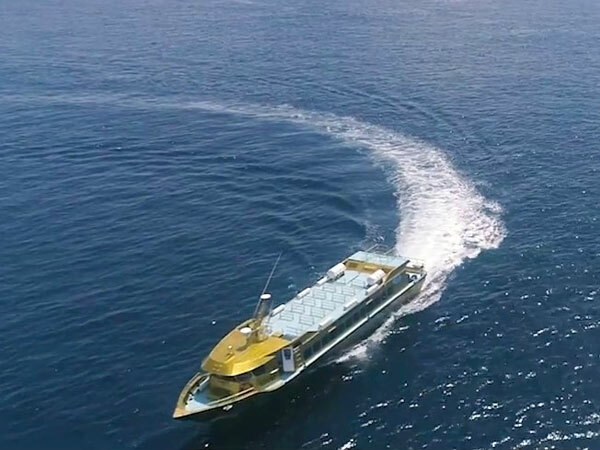 Golden Queen Fast Boat Nusa Lembongan / Penida to Gili is one of the fast boat company who provides the best service fast boat from Nusa Lembongan/Penida to Gili Trawangan, Gili Air, and Lombok Island. Gili Islands are 3 small Islands in West Lombok Regency those are Gili Trawangan, Gili Air, Gili Meno, and become the second option for the tourist who visits Bali Island, these islands beautiful and have a very clean sandy beach, crystal clear water and very suitable to do snorkeling and diving. On these 3 Gili, there is no car and no motorcycle found and the transportation use bicycle and horse cart or Cidomo. 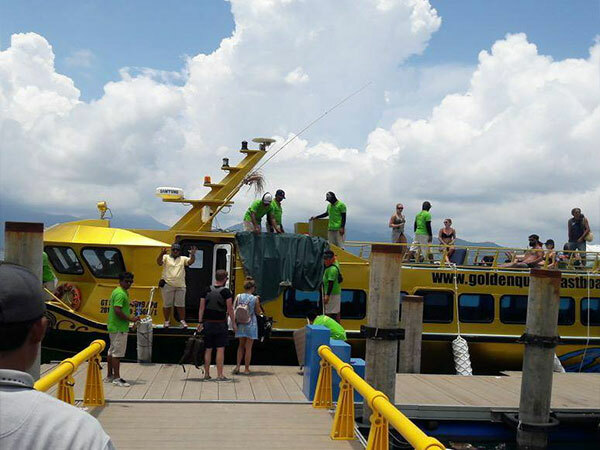 The experienced and certified captain and crew of Golden Queen Fast Boat are always available to help you during the trip to create a positive experience in terms of customer satisfaction priority. 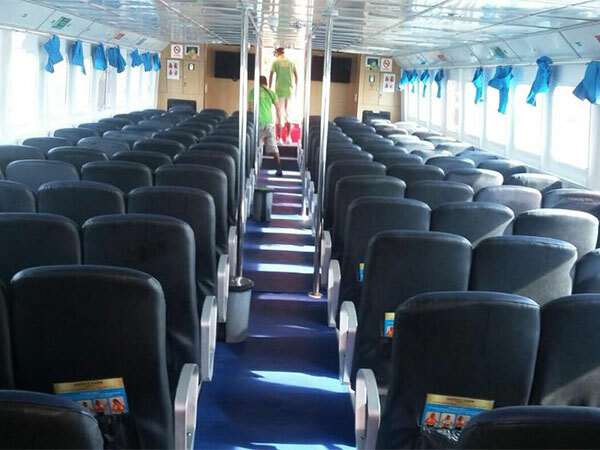 With comfortable air-conditioned downstairs seating and ample sun deck, complete with the best safety features, you will feel enjoy a comfortable journey. 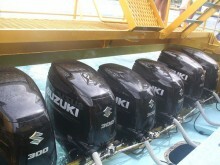 The boat is brand new and always checked regularly to ensure the best performance and safety quality. With the newest machines with 1800 Horse Power the best engine, the boat will get you to the destination as fast as possible. We provide the free shuttle from and to Sanur, Kuta, Legian, Seminyak, Jimbaran, Nusa Dua, and Denpasar area. 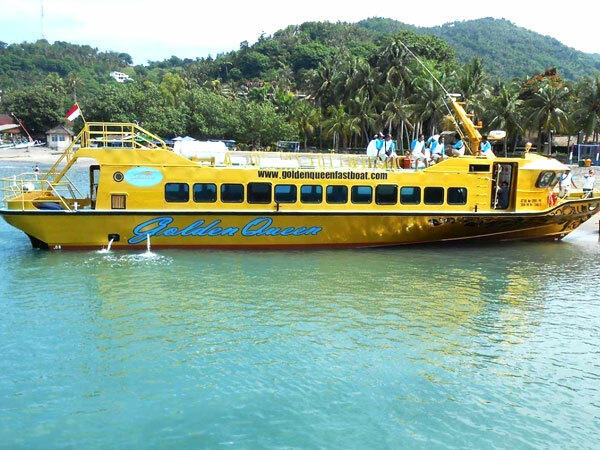 We provide insurance for passengers and other required necessities to ensure safe and more comfortable trip. 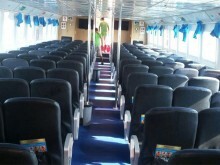 The boat is large with 75 passengers capacity. The boat also has large sundecks on the roof. To save your time, we are supported by online booking system with instant confirmation.